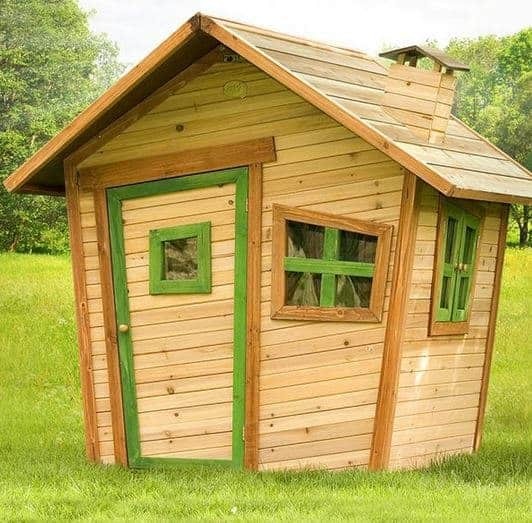 This unique playhouse has a crooked design. 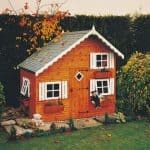 This crooked design brings in plenty of ideas around imaginative play. 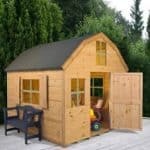 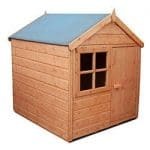 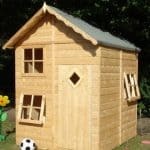 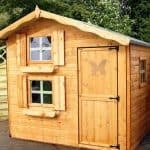 While the children are playing with it you can remain safe in the knowledge that the building has been created using 15 mm tongue and groove Cedar wood. 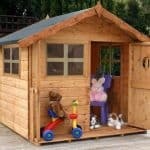 This wood is especially strong and resistant to splintering, which makes it especially useful in the area of children’s play.